A group of 75 scientists from 22 countries led by a Texas A&M University oceanographer has formulated an unprecedented set of priorities regarding research conducted in Antarctica — with emphasis on preserving it for future studies about both Earth and space and protecting it from increasing tourism. Mahlon “Chuck” Kennicutt II, professor emeritus at Texas A&M and a former president of SCAR (Scientific Committee on Antarctic Research), says that the report is a ground-breaking statement by the international community that lays out a long-term, ambitious vision of research regarding the southern polar regions. The group identified six critical priorities that will require further, sustained studies of the continent, the atmosphere, the encircling Southern Ocean and the biota that live there. Their work is published in the current issue of Nature magazine. “These priorities address a range of key issues – from environmental protection to studying climate change, changes in sea ice and ocean circulation and other important processes,” Kennicutt says of the report. The science priorities fall into several broad themes, such as understanding how, where and why large ice sheets are losing mass; learning more about Antarctica’s deep-time history; understanding how Antarctic life has evolved and survived; observing space to unlock the mysteries of the origins of life and the universe (since the area is one of the best places on Earth to study space); analyzing the Antarctic atmosphere and the Southern Ocean; and recognizing the many ways humans are influencing the region. “Tourism to Antarctica has more than tripled in the past decade,” Kennicutt explains. In addition, more and more countries are sending research teams to the Antarctic region – 29 countries currently participate in decision-making about Antarctica and another 21 countries have agreed to abide by the Antarctic Treaty that governs the area representing about two-thirds of the world’s population. 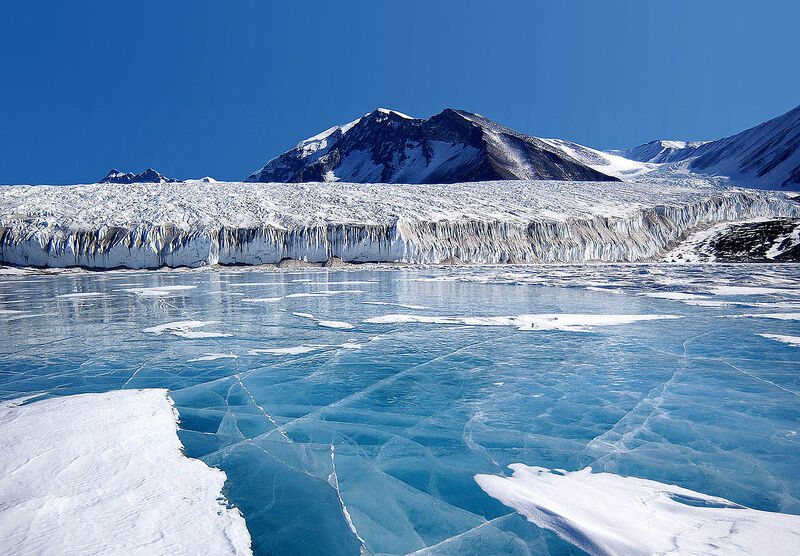 In recent years, researchers have discovered more than 400 sub-glacial lakes in Antarctica, and one of them — Lake Vostok, about the size of Lake Ontario — is believed to be the largest and most mysterious. These lakes have water that is among the purest on Earth and have been ice-covered for millions of years. “It is time for nations involved in southern polar research to embrace a renewed spirit of cooperation as espoused by the founders of the Antarctic Treaty – in actions and not just words,” Kennicutt adds.